Arrival at Amsterdam Schiphol International Airport. Upon arrival, you will be awaited by your driver and transferred to the Conservatorium Hotel, a lifestyle hotel located by the Museum district of Amsterdam. You will check-in, and take some time to relax and refresh. In the afternoon, together with a local, you will be taken around for a short walk in the city to ease you into your surroundings. 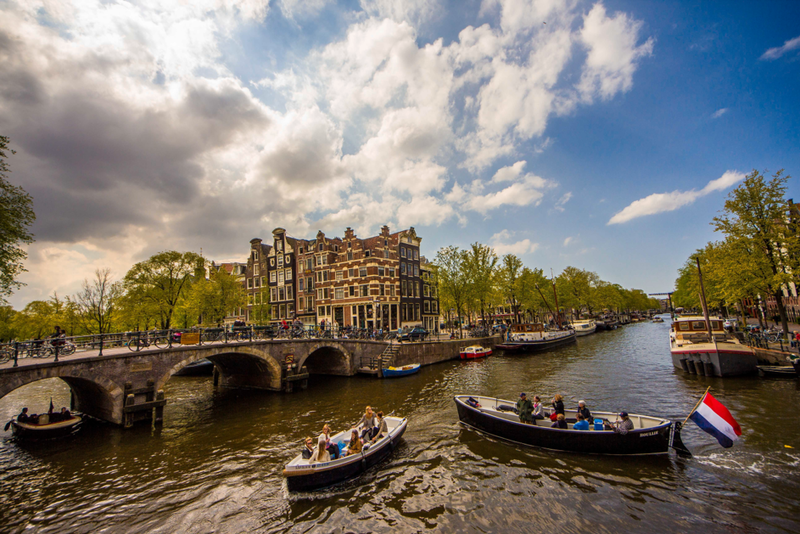 On this tour, you will have the chance to see some of Amsterdam’s monumental highlights such as the Dam Square, the Royal Palace, the Old Chuch, and the Vondelpark. Enjoy the rest of your evening at your leisure, and an overnight stay at the Conservatorium Hotel, a new contemporary hotel right outside of Amsterdam’s canal ring. After breakfast, you will be met at the hotel by a local guide to continue exploring Amsterdam. 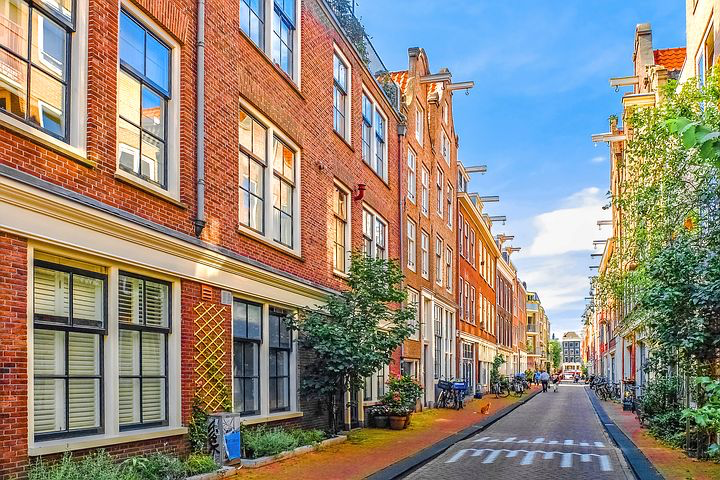 You will take a stroll through The Jordaan neighborhood, known for its beautiful houses, flower shops, and delicious restaurants. 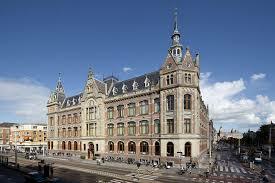 Later in the day, get ready to visit the best museums in the city, the Van Gogh Museum and the Rijks Museum. The Van Gogh Museum is dedicated to the works of Vincent van Gogh and his Contemporaries, and The Rijks museum houses a magnificent collection of masterpieces. After the museums, you will pay a visit to the Anne Frank house, a biographical museum dedicated to the Jewish wartime diarist Anne Frank. The rest of the day at your leisure. Early morning breakfast and check-out. Depart together with your local guide to the Aalsmeer Flower Auction, open to the public at 7 am. Aalsmeer Flower Auction is the largest trading center for plants and flowers in the world and we advise to start the visit as early as possible because in the early hour’s everything is in full activity. After this tour, you will continue to The Hague, about an hour drive. 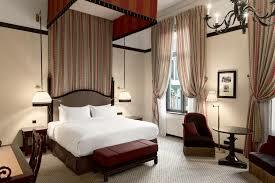 Once you arrive in The Hague, you will check-in at the Hotel des Indes. Take some time to relax & refresh. In the afternoon you will be led on a walking tour in the royal city of The Hague by your local private guide. You will visit the many historical monuments such as the Binnenhof, Noordeinde Palace and the Peace Palace. The Peace Palace is a grand neo-renaissance style structure that houses the International Court of Justice in The Hague. The Hague is also Holland’s most famous seaside city. Take a stroll by the beach and enjoy an unforgettable sunset. The rest of the evening is at your leisure. Enjoy breakfast at the hotel, then depart together with your local guide to Delft, about a 30min drive. 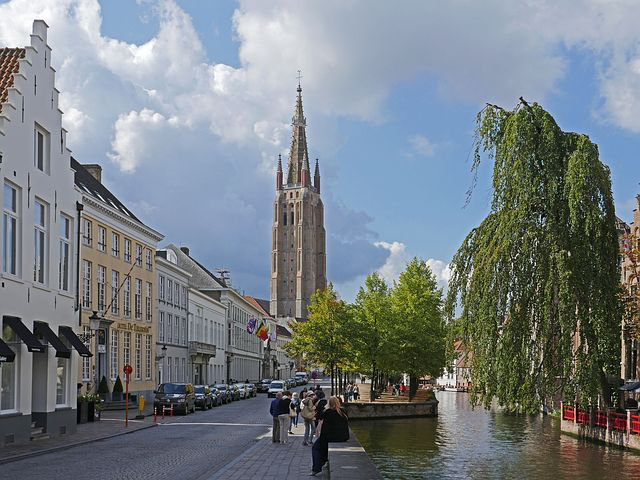 Upon arrival, enjoy a short visit to the city, home of the House of Orange and worldwide known for its Delftware. Along the walk through the city center, your guide will point out the place where the master painter Vermeer painted his famous paintings. You will also visit the Royal Delft factory, last remaining earthenware factory from the 17th century. After your tour, you will continue the journey to Kinderdijk, a 45min drive. 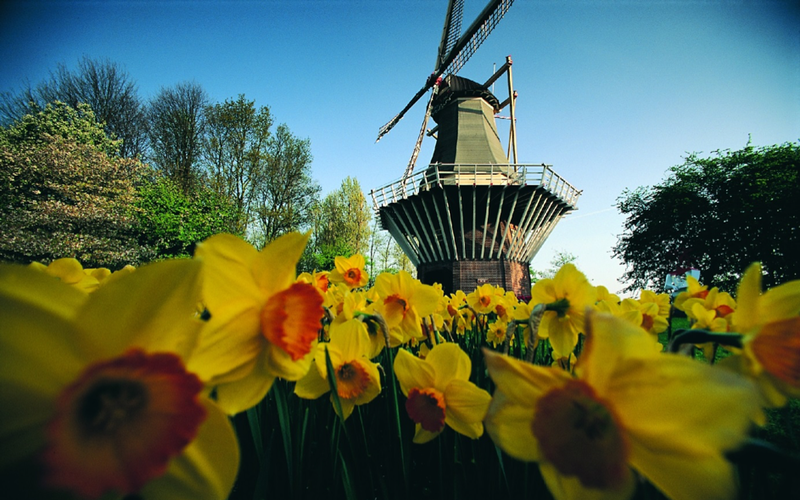 Once in Kinderdijk, you will visit the UNESCO World Heritage Site and a unique collection of 19 authentic windmills! – It is worth the visit even though it’s a touristic destination. Enjoy lunch in town. 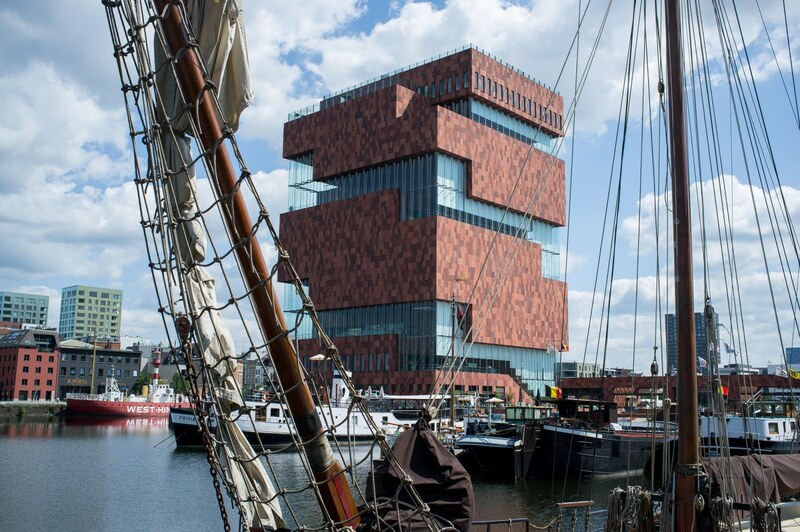 After lunch, your driver will take you to Antwerp, about a 1.5hrs drive. Upon arrival, you will check-in at Hotel Julien and have some time to relax & refresh. In the afternoon you will meet your local guide in the lobby of the hotel and start a walking tour in the historical city center. You will visit some of the city’s main highlights; the Cathedral, City hall, Ruben’s house, and Steen Castle. Visit the nearby museum MAS. The MAS is for those who are curious about the past, present, and future of the city of Antwerp and the world. From the top of the building you get a great view of the city. The rest of the day will be at your leisure. Today you will have the chance to shop in the shopping district of Antwerp, before taking an hour drive to Ghent. 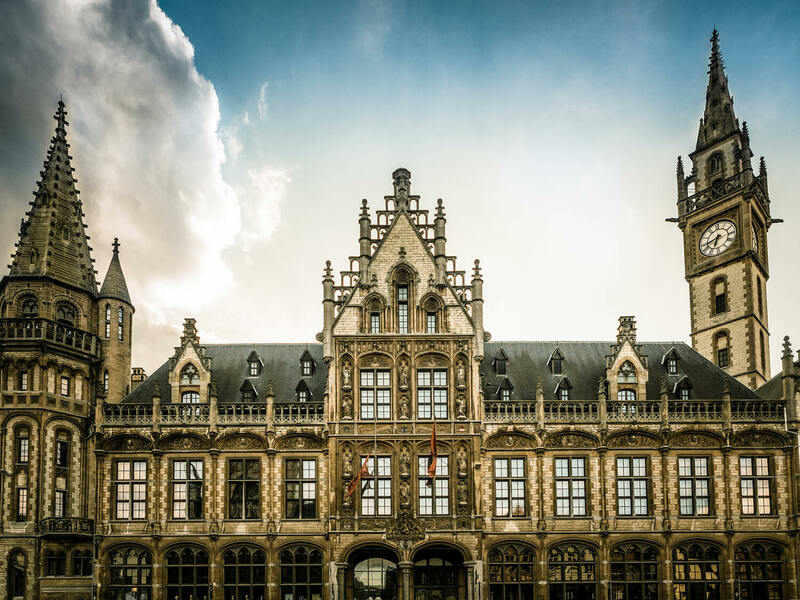 Once you arrive in Ghent you will check into 1898 The Post, a stunning historic landmark in the heart of Ghent, here you will take some time to settle your things and get ready for your afternoon tour of the city. Together with a private local guide, you will be taken on a walking tour of the city. 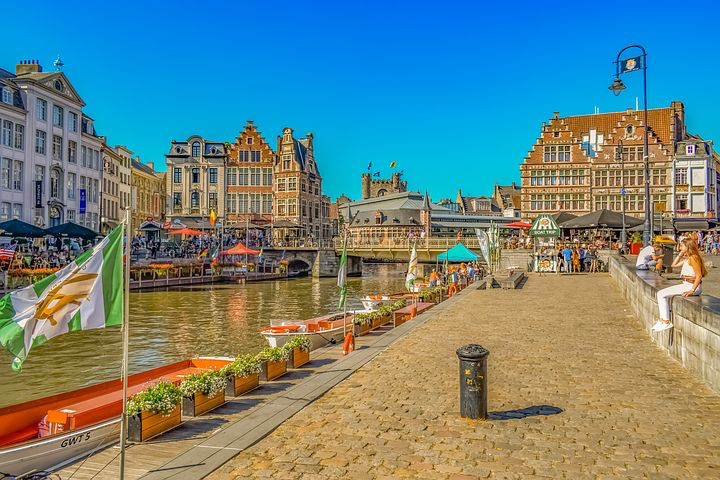 Ghent is one of the most vibrant cities of Belgium and is full of history. Visit St. Bavo’s Cathedral with the unique altarpiece ‘the Adoration of the Mystic Lamb’. Explore St Peter Cathedral and City hall. You will continue your tour by paying a visit to the Patershol- a city within a city. End your tour by exploring The Castle of the Counts and the Beguinage. All these stops are some of Ghent’s must-sees. You will have the rest of the evening at leisure. Today you will have some time to enjoy the historical city center of Ghent, before taking the 1hr journey to Bruges. 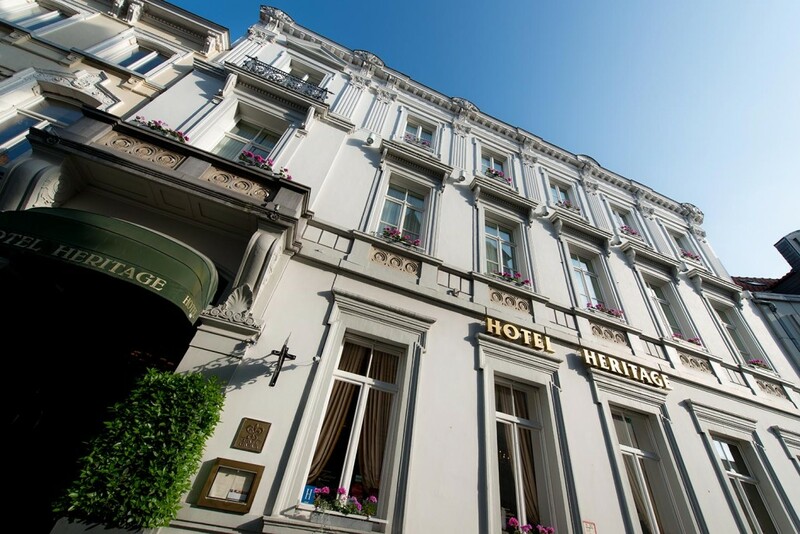 Once you arrive in Bruges, you will check into Hotel Heritage, take some time to rest and refresh. In the early afternoon, your local guide will take you on a special tour of the city on foot. 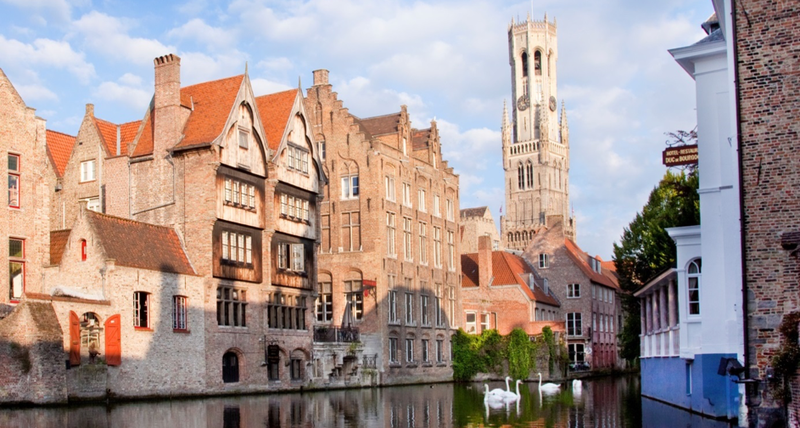 Explore the beautiful city of Bruges. It is the best-preserved example of medieval Flanders. Similar to Amsterdam the heart of Bruges is surrounded by an almost continuous ring of canals; therefore, Bruges is also known as ‘the Venice of the North’. We recommend taking a boat trip in the inland waterways or visiting the Groeninge museum. The Fine Arts Museum, better known as the Groeninge museum, has become somewhat of a mecca for fans of the early Netherlandish paintworks. 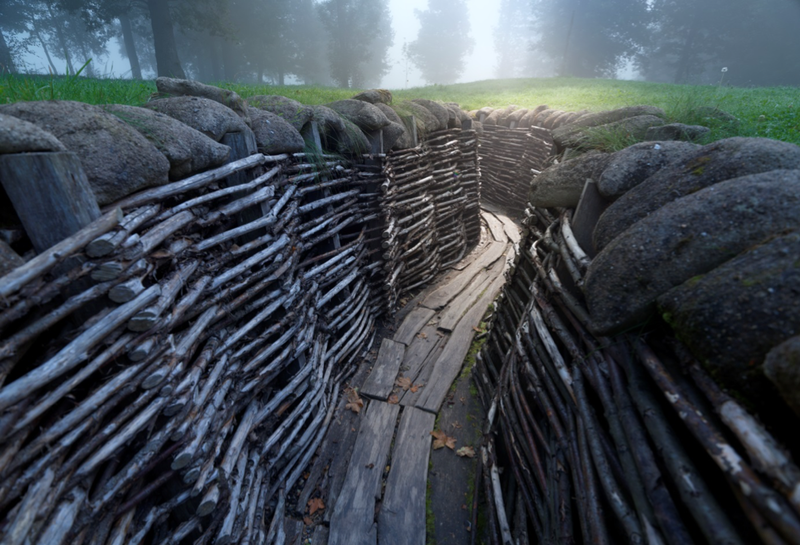 Enjoy an early breakfast then get ready to meet your guide, a passionate historian of the Flanders Fields, will come to pick you up at the hotel and drive you to Ypres, a 1-hour drive. You will be spending the full day at Flanders Fields sites in hopes to better understand the physical and strategic challenges faced by the soldiers and the generals in World War I. You will feel an emotional connection too: The Ypres Salient, Passchendaele, Site John McCrae, Menen Gate, Polygon Wood, and the Flanders Fields Museum. Learn more about the historic story of the First World War in the West Flemish front region. 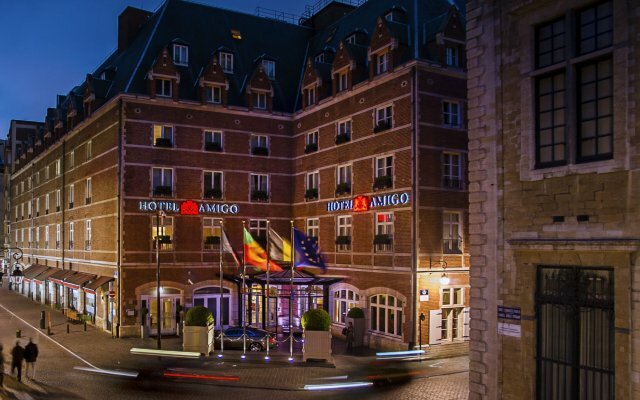 After your tour is complete you will be driven to Brussels, where you will check-in to the Hotel Amigo which happens to be around the corner from the picturesque Grand Place, one of the most beautiful squares in the world. Enjoy some local delights – chocolate, beer, waffles, etc. After breakfast, together with a local guide and vehicle, you will be taken around for a drive / photo op around the city and pass some of Brussel’s monumental highlights such as the Atomium, the Royal Palace of Laken, Parc du Cinquantenaire, the European district, the central station, etc. 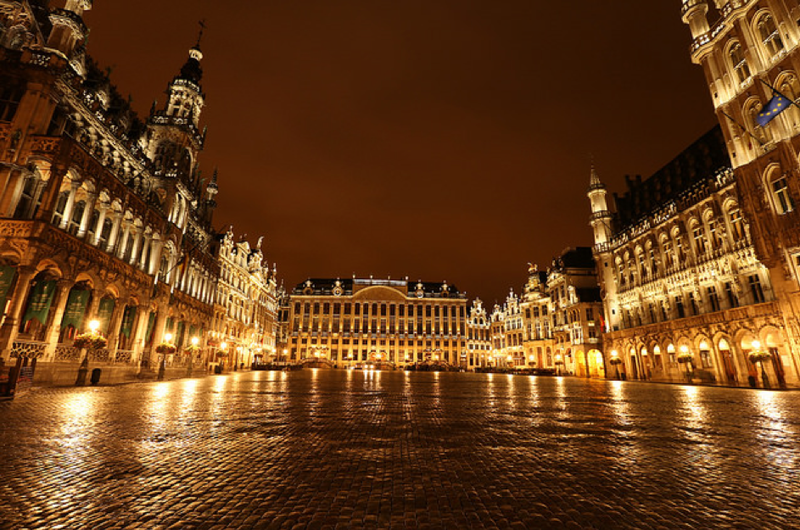 In the afternoon, continue the visit with a guided walking tour through Brussel downtown with emphasis on history: the Old Market, the Manneken Pis, the Gallery Royal Saint Hubert, the Central Station & Gallery, the Bozar, etc. On the way, you will pass by Comic Strips mural paintings and you may enjoy some chocolate, special beer or other local delights such as speculoos cookies, waffles, etc. Visit also the Magritte Museum which displays works by René Magritte. The collection contains oils, drawings, sculptures, musical scores, photograph & films about the surrealist artist. Today you will be jumping on a train heading to Paris. This high-speed direct train ride will take about 1 hour and 20 minutes. Upon arrival, you will be awaited by your driver and transferred to your hotel. You’ll check-in at The Peninsula and have some time to relax & refresh. In the afternoon you will start a guided walking tour of your surroundings & the 4th arrondissement of Paris. 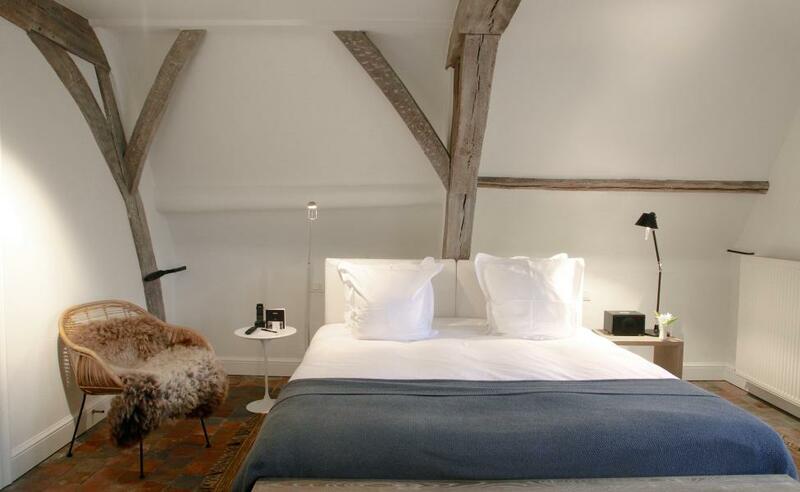 Le Marais is the city’s oldest existing neighborhood: renaissance and classical mansions, the charming Place des Vosges, and the modern Opera Bastille built on the foundations of the former medieval prison. Your local guide has a love for art and architecture but has also developed an interest for the French gastronomy and artisans. He will adapt the tour according to your wishes and share his passion & best gourmet addresses of the French capital. The rest of the evening will be at your leisure. Enjoy a morning in Paris at your leisure. 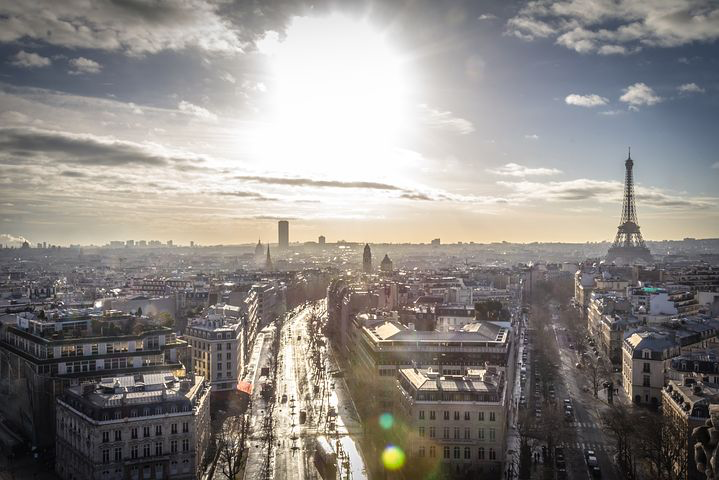 In the early afternoon, you will meet your guide and continue to explore Paris. You will discover the artistic and bohemian district of Montmartre. You will have the chance to visit the Sacré Coeur, the Place du Tertre and its artists. Explore the medieval St. Peter’s church, and the vineyards. 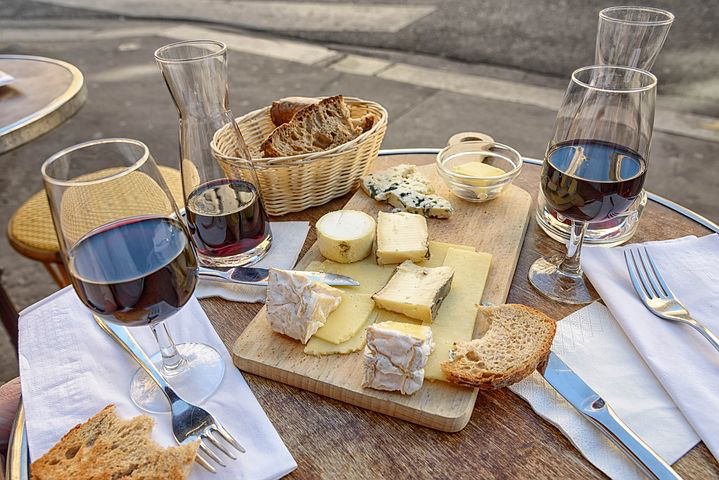 Along the way, you can discover and taste a selection of amazing sweet specialties of France – fine bread, cheeses, macaroons, sorbet and ice cream from the most well-known artisans of the capital. Enjoy breakfast at the hotel and explore the city at your own leisure. 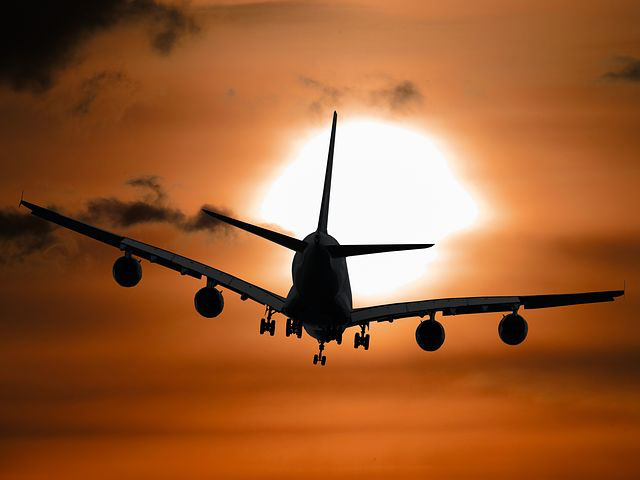 At the time previously arranged, you will meet your driver in the lobby of the hotel and transfer to Paris Charles de Gaule International Airport from where you will board on your flight back home. This luxury hotel in Amsterdam has repeatedly been crowned the number one luxury hotel in the Netherlands. Located in the Museum Square district, the true heart of the city, the Conservatorium is an architectural masterpiece that combines a landmark heritage building with graceful, contemporary design. Guests enjoy a selection of restaurants, a bar, lounge and 1,000 sqm Akasha Holistic Wellbeing. In this vibrant and elegant setting, the city’s crown jewels – the Van Gogh Museum, Concertgebouw, Rijksmuseum, Vondelpark and Amsterdam’s most indulgent shopping – are literally at your doorstep. For culture and for business, it’s a location like no other. Set in an 1858-built property, this posh hotel features a grand lobby with chandeliers and lies a minute’s walk from Escher Museum. There’s a palatial restaurant serving French/Italian cuisine, plus an opulent cocktail bar and a plush cigar lounge. 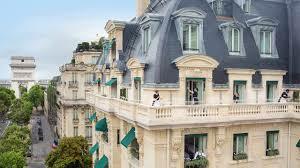 Perfectly situated at 19 Avenue Kléber, The Peninsula is steps away from the Arc de Triomphe. It located in the heart of Paris, surrounded by some of the world’s most famous monuments, museums and luxury shopping districts. The Peninsula houses 200 luxurious rooms, which includes 86 suites. Inspired by Haute Couture, the themed suites are some of the most spacious and the worlds highly customized are veritable showcases of the French heritage and savoir-faire.